Known for his Top 10 hit "Stealing Cinderalla," Chuck Wicks is finally back in the groove with a new EP set to be released in April. Read on here to learn more about the new EP Rough. IT'S TIME!!!!! START THE VIRAL CAMPAIGN NOW!!! My EP will be released APRIL 2nd!!!! He spoke further on the upcoming release in this February 18 post, citing the new music as possibly his best to date. Just sat in my truck for a little over an hour just listening and re-listening to the new EP that will be out April 2nd!! MAN....I'm Excited for you all to hear this stuff... It will be my best music i've put out to date!!! So share the love and tell your friends and family because April 2nd is around the corner!! Chuck Wicks previously scored three Top 30 hits from his 2008 RCA debut Starting Now. In 2009, he appeared as a celebrity contestant on ABC's Dancing With The Stars partnered with then-girlfriend Julianne Hough. He exited the RCA roster in January 2011. 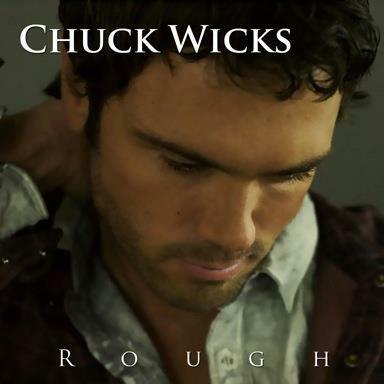 Will you be buying Chuck Wicks' new EP when it hits iTunes on April 2?